This photo is taken midway between the towers and the building. You can see the nice hedge this site is still very well maintained. 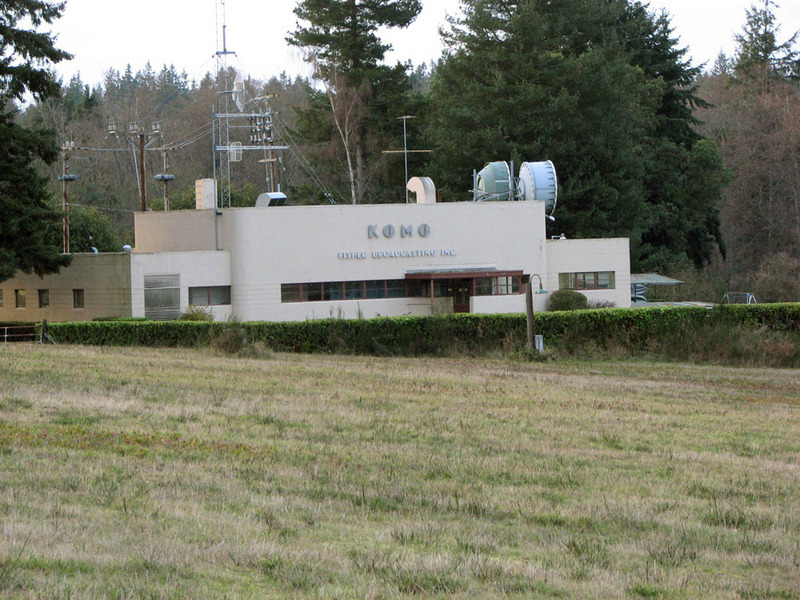 Up until the early seventies KOMO kept a full time staff on site. Due to FCC rules the transmitter could not be operated by remote control. Onsite engineers were needed to take meter reading and verify the stations licensed power and night time directional array performance. Up until 2008 an engineer lived on site.